Why, when we know that diet matters to our health and well being are we still ill? What makes our diet matter to how our body functions? How does the food we eat change our health both positively or negatively? Let me help you to understand that you become what you eat. You are what you metabolise. 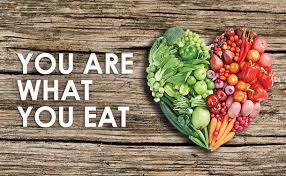 Find out what we say we eat versus what we actually eat. Understand how our processed Westernised diets are causing us to be ill. Your microbiome and gut health is a key part of overall health. Genetics and personalised nutrition is the way forward. Your food affects your genes. Understand what we are designed to eat. This is a one hour talk in Omagh’s Fit to Snack cafe at 7 pm, phone or contact them directly to book on.